100 gram bag of mixed pressed glass beads. Bead size: Approx. 8mm to 30mm. Approx. 30 beads per bag. 100 gram bag of mixed pressed glass beads. Bead size: Approx. 10mm to 22mm. Approx. 20 to 25 beads per bag. 100 gram bag of mixed pressed glass beads. Bead size: Approx. 9mm to 25mm. Approx. 20 to 30 beads per bag. 100 gram bag of mixed pressed glass beads. Bead size: Approx. 7mm to 22mm. Approx. 40 to 45 beads per bag. 100 gram bag of mixed pressed glass beads. Bead size: Approx. 5mm to 30mm. Approx. 60 to 70 beads per bag. 100 gram bag of mixed pressed glass beads. Bead size: Approx. 8mm to 20mm. Approx. 55 to 65 beads per bag. 100 gram bag of mixed pressed glass beads. Bead size: Approx. 7mm to 25mm. Approx. 70 beads per bag. 100 gram bag of mixed pressed glass beads. Bead size: Approx. 6mm to 20mm. Approx. 70 to 90 beads per bag. 100 gram bag of mixed pressed glass beads. Bead size: Approx. 6mm to 20mm. Approx. 50 to 60 beads per bag. 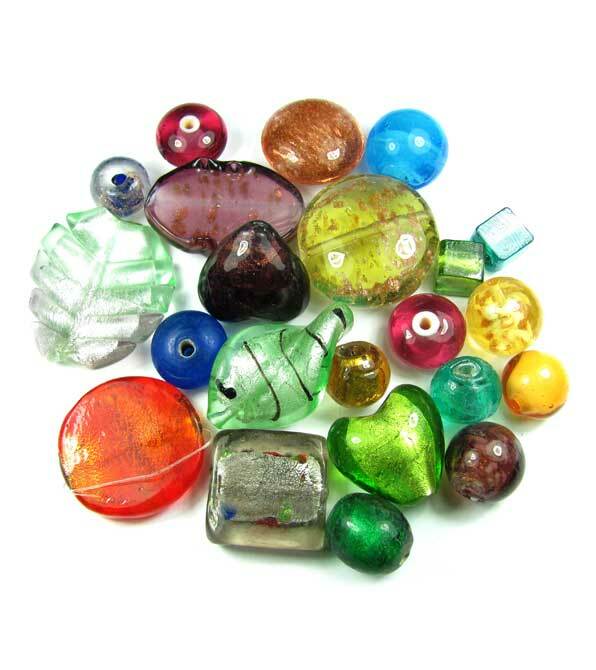 100 gram bag of mixed glass spacer beads. These are mostly rondelle shaped, with some 6mm rounds also. Bead size: Approx. 100 gram bag of mixed pressed glass beads. Bead size: Approx. 7mm to 25mm. Approx. 100 beads per bag.